Although there aren't many ways to detect the changing of the seasons in San Luis Obispo, you certainly know summer is coming to a close all the "WOWies" arrive. During Cal Poly's WOW, or Week of Welcome, over 4,500 new students come to SLO the week before school begins to become oriented with both the campus and the community. Hundreds of WOW groups flud downtown SLO in brightly colored attire -- becoming acquainted with new people and places, taking pictures, and just generally having fun. 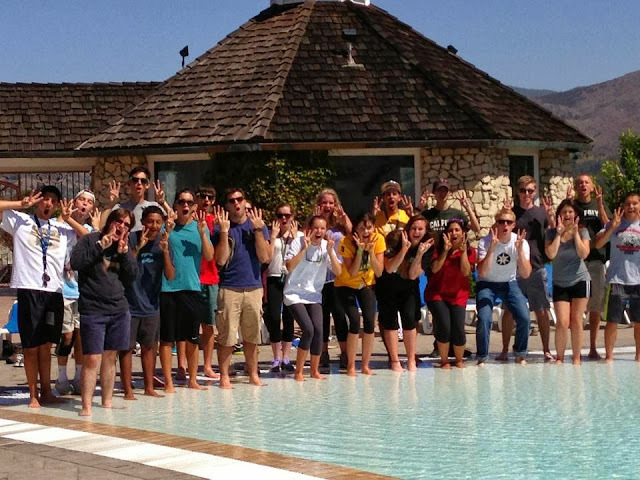 This year, a couple WOW groups even took a tour of the Inn and munched on some fresh baked cookies afterwards by the pool. Cheers to the beginning of a great year!